“If you’re not getting a 401(k), health care, paid time off, you need to get a different job, because you can get all of that,” says Costello. Most long-haul truckers are paid by the mile, not by the hour. And some routinely spend hours waiting to load or unload at shipping facilities. That wait time cuts straight into drivers’ income. Thomas J. O’Conner, president of YRC Freight, says his company and others are taking a harder line with shipping customers who tie up their drivers. But O’Connor admits that improving pay and alleviating headaches won’t solve the driver shortage. “I think as an industry we need to be more creative and resourceful to attract and retain top-notch people, O’Connor says. And there’s one huge group of people in particular the industry needs to attract: women. Currently about 8 percent of long-haul drivers are female. The trucking industry’s efforts to increase that percentage seem to be working. 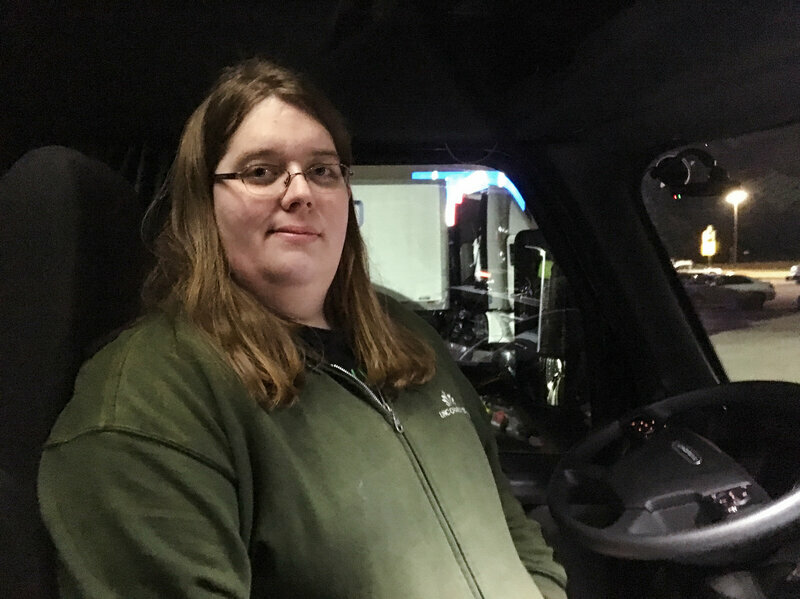 Ellie O’Daire, a transgender driver, at a Sapp Bros. truck stop in Percival, Iowa. The industry has become more inclusive as it seeks to alleviate a critical shortage of drivers. “[There are] safety concerns, especially if you’re a solo female driver,” Thornton says. “We work with the truck stops on lighting and fencing and reporting to them a truck stop that’s not safe,” Voie says. I got into [truck driving] in the most millennial way possible. I was playing too many video games. Ellie O’Daire, truck driver Voie estimates the percentage of women who are long-haul drivers has doubled in the past dozen years, and she expects it to take off sharply in the near future. 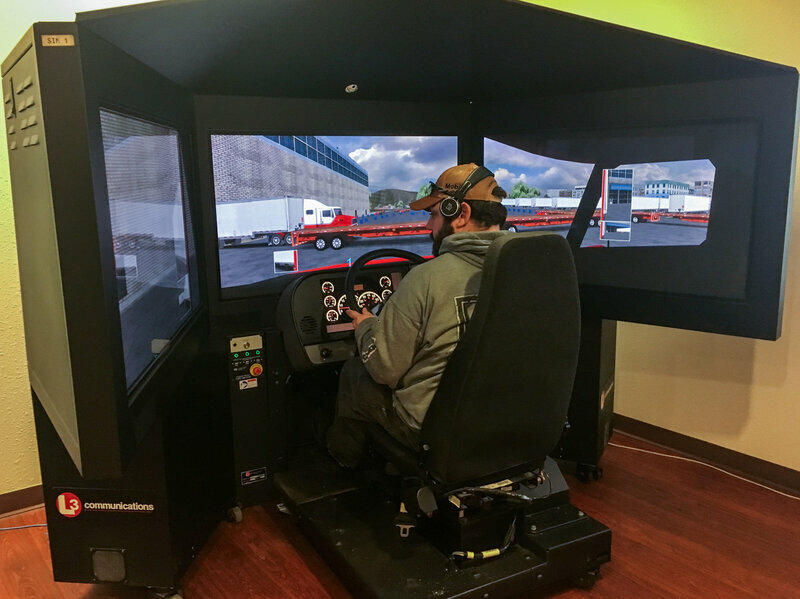 O’Daire says a game that simulated truck driving sparked questions about the real life industry. 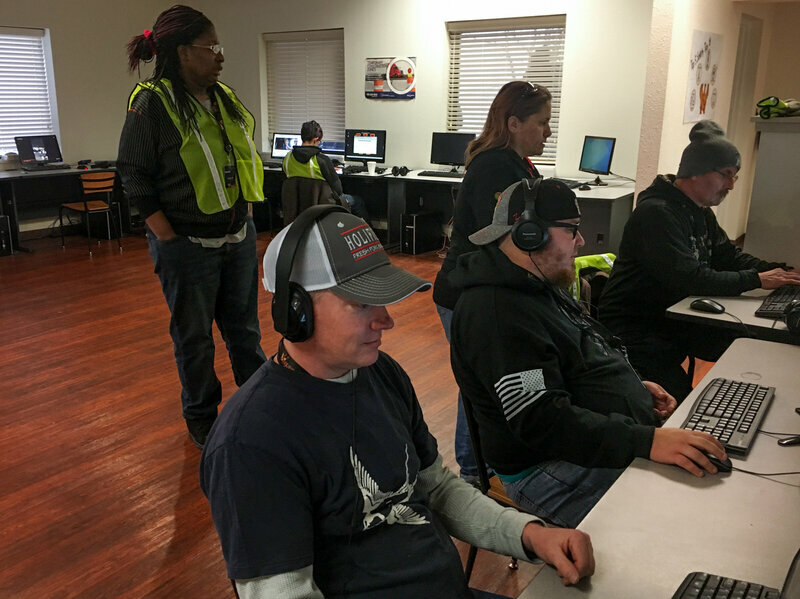 It wasn’t long before she encountered a Wilson Logistics employee online, who ushered her into a trucking company founded and run by Darrel Wilson.